Customer service is a crucial aspect of any business, but have you ever thought about how it can affect your online presence? Today, social media is a prominent aspect of any business profile that should not be ignored including those of hotels. 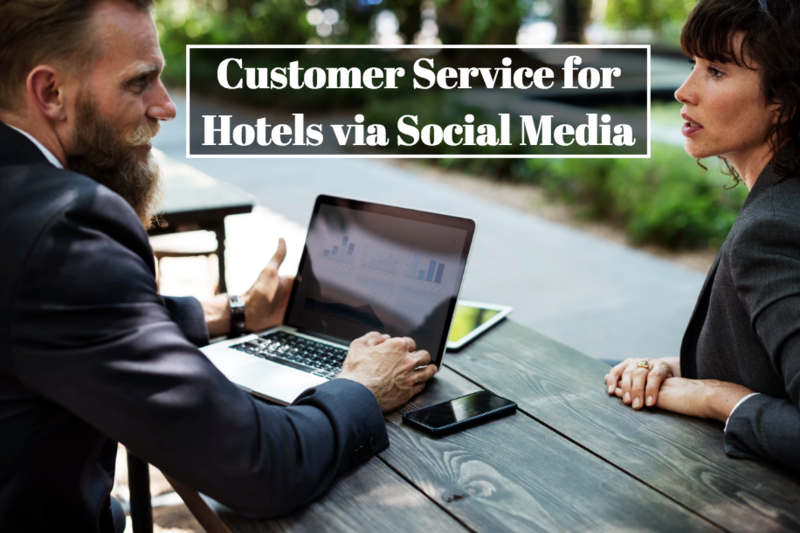 If you are looking to update your hotel social media strategy, then you must allocate resources for valuable customer service via social media. You might be asking yourself, “What do you mean by customer service on social media, isn’t social media something completely different than assisting customers via phone or in person?” Yes and no. Although traditional customer service is thought of as phone calls or in-person interactions between sales associates, customer care agents and customers, social media is the next step towards having positive interactions with a brand online. Customer care on social media can be anything thing from responding to messages to reviews or comments on any channel like Twitter, Facebook or Instagram. These interactions affect people’s opinions of the brand. Your online image is heavily tied to your brand’s reputation. The better your customer care, the more sales you’ll have the possibility of making. The same goes the other way, bad customer care turns people off from your brand and may turn a loyal customer away leading to a lowered revenue.